For over a decade, teeth whitening has been one of the most popular cosmetic procedures used to make teeth whiter, brighter and more attractive. Our White Lake teeth whitening dentists use professional teeth whitening treatments that are all safe and relatively painless procedures — ideal for most patients. There are several teeth whitening options available that can remove or reduce the signs of brown and yellow staining. The most effective teeth whitening procedures are available through our White Lake cosmetic dental office. Our White Lake dentist can explain the pros and cons of each treatment and determine the best teeth whitening alternative based on the severity of your staining. Our professional dentist in White Lake MI offers both in-office whitening and tray whitening. In-office whitening is ideal for patients wanting immediate results. Since the entire procedure takes place in our office in about an hour, it is the perfect choice for busy individuals. This process involves the dentist applying a protective gel to your gums to protect the soft tissue. A special light-activated gel is then applied to your teeth and a special light or laser is used to enhance the action of the agent. Finally, our staff takes impressions of your teeth to create custom trays for at home touch-up, and gives you instructions for keeping your smile bright. The result is dramatically whiter teeth that will last for years. 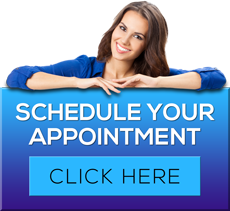 To learn more about White Lake teeth whitening dentist James A. Bedor DDS or to request an appointment, please contact us here or call our office directly at 248.698.8330.